The monastery was founded by the 1st Dalai Lama in 1477. 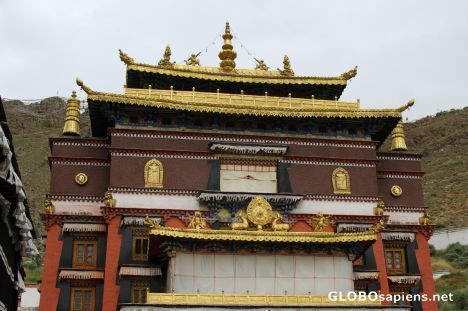 Tashilhumpo is one of the six great Gelugpa or Yellow Hat monasteries. The name Tashillhumpo means “heap of glory”. It is the largest functioning monastery in Tibet. Now the principle buildings of the monastery date from the 17 and 18Th centuries. The monastery is also the seat of the Panchen Lamas, the second highest ranking image in the Gelugpa Tibetan Buddhist hierarchy, after the Dalai Lama.